Our Garden Bloggers’ Book Club virtual meeting takes place outside today in the light shade of the honey locust tree. As you enter the back yard, something feels ‘not quite right’. Something is amiss. There is an air of mystery in the garden. You look beyond the chairs set up for the virtual book club meeting and off in the vegetable garden, you see a row of late green beans, eaten down to nubs. Gasp! Nearby off to one side, with just his unlucky foot visible, there appears to be a dead rabbit under the snowball viburnum. Just then, the neighbor’s cat saunters through the garden with a look of quiet satisfaction as though he is the king of the garden and has once again proven it. When I greet you to bring you around to the back yard, I seem to be in a bit of a hurry and am still carrying a sharp spade, as though I was planning to dig a hole. Or was my spade used for a more sinister purpose? “What happened to those bean plants? Whodunit is the focus of our virtual book club meeting today as we read and discuss garden mysteries. We have several reviews to go through, so ignoring what might have happened here at May Dreams Gardens prior to your arrival, I present those reviews in the order posted. Thank you all for posting for the Garden Bloggers’ Book Club! We had several regular participants, some people who have participated before but not every time, and some brand new members. All are always welcome! 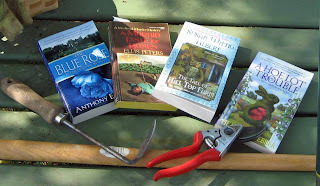 If you are still planning to post a review of a garden mystery, let me know when you’ve done so and I’ll add you to our list of reviews in this post. And now as the meeting breaks up and I start to clean up and put away the chairs, I can hear in the background a few of you as you stand around and ask each other more questions about today’s mystery at May Dreams Gardens. For our next meeting at the end of November, we’ll go back to the classics and read Green Thoughts: A Writer in the Garden by Eleanor Perényi. I look forward to having everyone from this month back, plus as many others as would like to join us. Oh, and one more thing. No rabbits were killed or even frightened in the staging of this murder mystery at May Dreams Gardens. 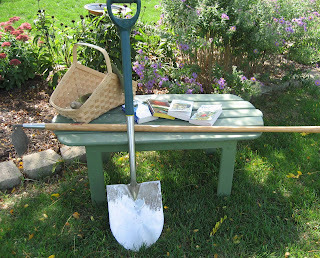 All clues were random, the mystery is completely fictitious and I have no idea how to solve it or finish it up for a nice, neat, tidy, complete blog post about garden mysteries. So it shall remain a mystery. Happy Gardening and Happy Reading until next time! Oh, you so had me going there...I thought for sure that the neighbor's cat had finally killed the rabbit. 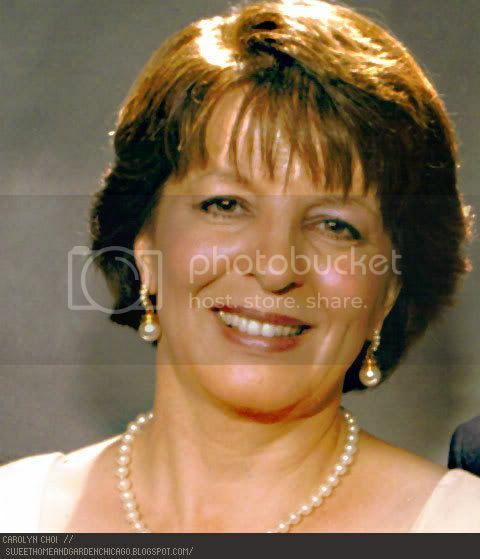 Hi Carol– this is an invitation to join the Garden Bloggers Retro carnival. I don’t know if you’ve ever come across the concept of a Blog carnival – if not I’ve explained it in detail on my site today (Oct 1). But basically the idea is to revive an old post which you think is worth rereading, or which you think new readers might enjoy. Send me the link to the post, and in November I’ll publish a series of posts describing and linking to all the posts people have nominated. PS - Love the Leaf cams! You really had us going with the garden mystery at May Dreams Gardens. It's October 1 and you promised last month to post a poem for Muse Day. Carol, since I never got around to picking up "A Hoe Lot Of Trouble" I went with an audio garden mystery that I listened to this month. "The Savage Garden" by Mark Mills. They both write gardening mystery novels.